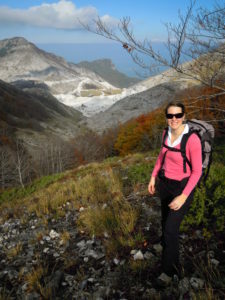 Apuan Alps Hikes: Day or multi day guided hikes in the Regional Park of the Apuan Alps, to explore these beautiful mountains beyond their world renowned marble quarries. Apuan Alps are so called due to their morphology similar to the Alps in Northern Italy, however they are part of the Apennine range of Northern Tuscany. These mountains are world-renowned for the Carrara marble that has been excavated here for centuries, however they are a natural heritage thanks to their biodiversity and geodiveristy. For this reason, the Apuan Alps Regional Park has been recognized in 2011 as Global Geopark by Unesco. The Vinca valley, close to Fivizzano, is the perfect access to some of the most spectacular day or multi day hikes. 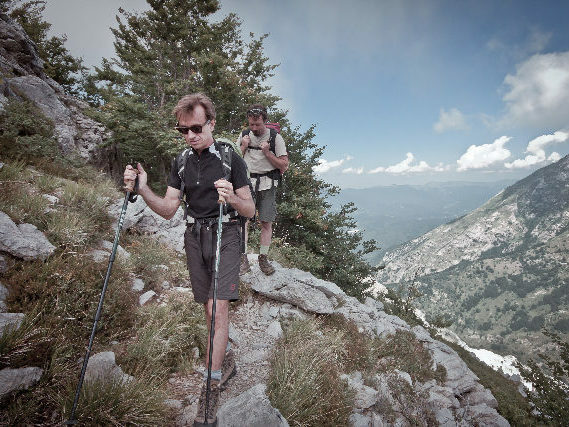 Also, for easy half or full day it is possible to hike from Campocecina, behind the city of Carrara, enjoying breathtaking views over the marble quarries, the coast and the Gulf of Poets. Choose one of our guided hikes to explore the Park accompanied by a qualified guide, learning not only the naturalistic heritage of these mountains but also the fragile relation between nature and man who has been shaping this landscape for centuries. The mountaing range of the Apuan Alps starts in Northern Tuscany between Lunigiana and Garfagnana and stretches as far as Versilia for approx. 60 Km of lenght and 5 of width. Its main peaks are Sagro, Pizzo d’Uccello and Pisanino, the highest being 1947 m.
Monte Corchia caves and the Equi Caves. This feature of the Apuan Alps make them a big water reservoir, the biggest in Tuscany, however you always need to bring water during your hikes as there are no water springs. May and June are two lovely months to admire the rich flora blooming in various microclimates and rock stratification. In addition to the hiking trails, Apuan Alps also offer fantastic iron ways , canyoning and sport climbing opportunities.